…and that is just one of the hundreds of one-star National Park reviews that can be found on Yelp.com. 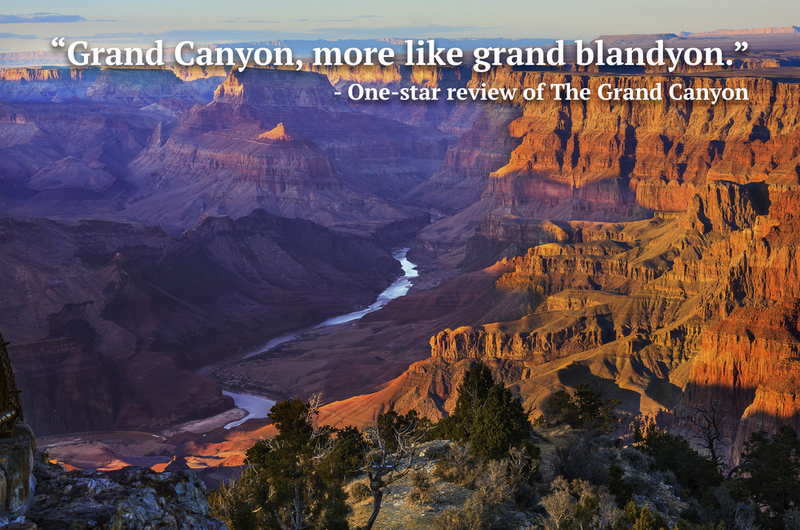 Some of you are probably thinking: “A one-star review…for a National Park?!”. Believe me, we were thinking the same thing — And yes, they exist! Some of these reviews are shocking, some will make you laugh, and some will make you wonder why some people even visit National Parks at all. However, if you’re planning on visiting one any time soon, you should probably read these before heading out. According to these Yelpers, it’s not all gorgeous landscapes, towering waterfalls, and wildlife — there could be some seriously tough stuff you might have to endure! So before heading to the next National Park on your list, here are some of our favorite one-star Yelp reviews for you to enjoy. *Disclaimer: We realize that some of these reviews may or may not be satirical (there’s no way to know for sure), but regardless, they’re hilarious and we just had to share them. Some people must really hate nature! The 7 Best A-Frame Cabins In The U.S.A.